Today marks the third anniversary of the 9.0 magnitude earthquake that struck northeastern Japan, triggering a tsunami that caused widespread damage, including the meltdown of three of the six reactors at the Fukushima nuclear power plant. Only about 100 people died in the earthquake itself, (because of the earthquake-resistant design of many buildings), but almost 20,000 people lost their lives in the tsunami. It was also the most expensive disaster in human history, causing losses of $360 billion. As we remember Japan’s terrible losses, today’s anniversary also reminds us that the Asia-Pacific is the most disaster-prone area in the world. On the weekend I was at a workshop in Singapore organised by the US National Bureau of Asian Research and the Japan Center for International Exchange on regional disaster management. 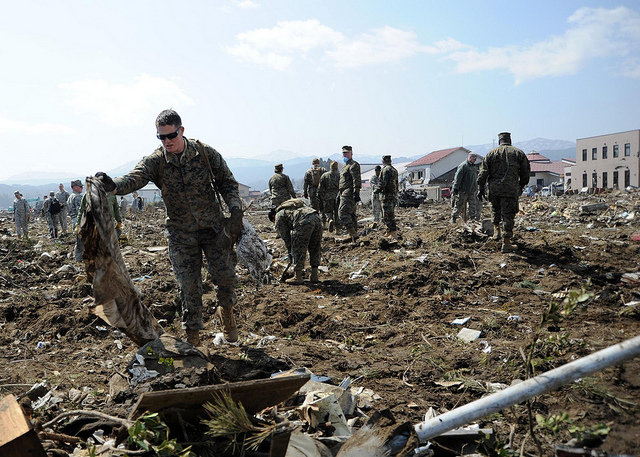 It was part of a project to develop a US–Japan alliance approach to humanitarian assistance and disaster relief (HADR), badged by the sponsors as the ‘Strategic Assistance’ concept. I was asked to give my views on the proposed concept of closer US–Japan HADR operations in south and Southeast Asia. 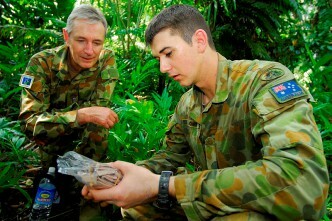 Australia has wide experience in disaster response, both at home and abroad, with significant capabilities with respect to military assets, (to be significantly expanded with the LHDs), medical facilities (such as those located at the National Critical Care and Trauma Response Centre in Darwin), as well as urban search and rescue assets in Queensland and NSW. And our disaster response operations work smoothly with our aid program, as occurred with the recent Philippines Typhoon Haiyan. On the question of how Australia would likely react to combined US–Japan HADR operations in the region, I suggested that we’d not only welcome it, we’d want to play a contributing role. After all, both countries are close regional partners of ours. Getting civil and military responders closer together would build confidence, and both the US and Japan have significant capabilities to offer here. The AusAID merger into DFAT should see us working even closer with the US and Japan in providing disaster relief. The hard bit would be making the ‘Strategic Assistance’ concept work. Australia already has a a good working relationship with the US, with very close defence relations and no language impediments. Japan is becoming steadily more capable, but in many ways is still getting used to operating in coalitions. The first 48 hours are critical in disaster response operations and it’d be much easier for us to establish connectivity with the US in that timeframe. Japan’s defence and civil defence assets were largely non-interoperable following the earthquake, tsunami and nuclear reactor challenge: as Australia puts strong emphasis on close civil–military interaction in disaster response, this may also limit Japan’s role. To make the Strategic Assistance concept more appealing, it’d need to be a no surprises, sensibly coordinated and phased exercising approach. The concept also wouldn’t want to undercut regional mitigation efforts (as opposed to response and recovery). In advancing the concept, we’d need to be mindful that there’s some fatigue in military and civilian circles from the burgeoning HADR exercise and ‘conference industry’ as political masters use HADR to pursue military engagement or ‘soften’ military connections. The HADR space is now very crowded, so the Strategic Assistance concept shouldn’t reinvent wheels. For example, ASEAN centrality will be important to the countries of Southeast Asia and the already have several extant arrangements. The ASEAN Defence Ministers Meeting Plus regularly holds large scale exercises. The APEC Emergency Preparedness Working Group and Senior Disaster Management Officials Forum, and the Indian Ocean Rim Association all work in the region on disaster risk reduction, management and response. They will want Japan and the US to work with them, rather than striking out on their own. China and India may be sensitive to the US–Japan Strategic Assistance concept, so ideally we’d want to bring them into the tent. But the more participants the harder it would be to make the concept practical. 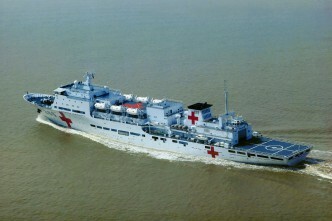 For example, one constraint may be that the PLA are designated as first responders in disasters, so bringing them in may risk them not working cooperatively with civil responders and NGOs. Australia would want a mix to include military, government relief agencies, local and international NGOs, and the private sector when conducting HADR operations. I argued that the US-Japan proposal should be embedded in the East Asia Summit construct as all 18 leaders have already signed an agreement (PDF) to cooperate on disaster response. Maybe it could start with a ‘trusted community’ of countries such as Australia, US, New Zealand, Japan, and Singapore. Then others could join to provide particular types of assistance e.g. landing rights agreements, forensics, medical assistance and so on. Each member of the ‘trusted community’ might want to ‘mentor’ an individual state to boost their HADR capabilities and contribute to burden sharing. Finally, one question the organisers asked me to address was how Australia would react to a combined US–Japan humanitarian ‘invasion’ on our soil. I think that’s quite a vexed question. Unlike New Zealand, our national crisis planning doesn’t acknowledge that we might be overwhelmed by the ‘big one’ or even that ‘black swans’ like Japan’s triple disaster can happen to a developed country. I think that, like other countries, we’d be naturally reluctant to show we couldn’t handle things, but we’d also want to show we’d welcome friendly offers of help. And that’s the trick in organising any multilateral HADR organisation—to keep it ‘user friendly’. Anthony Bergin is deputy director of ASPI. Image courtesy of Flickr user United States Marine Corps Official Page.